Well it has been an interesting day. It started with a bright, sunny dawn and, as expected, by about 9.15 the clouds rolled over just in time to obscure the partial eclipse. But there were breaks of thin cloud so we did get a peak at the sun and it was possibly better than having full sun because at least we could safely look at it. The day then got stranger but, perhaps appropriately for UN International day of happiness (or whatever they called it), I noticed a canary on the garden fence at 10 am. I kept checking to see if it was around later in the day and it seemed to be happiest sitting under the garden chairs – not a safe place for a bird. After lunch it seemed to have gone but as I opened the door it started singing to me. This seemed too much of a coincidence so I grabbed a deep fat fryer basket and, on my second attempt, caught it. So after work it was straight to the pet shop to buy a cage and here he is, seconds after he was in his new home. I felt a bit mean to cage him after his day of freedom but he seems settled already and he has a ring on his leg so is obviously used to a cage or aviary. He also seemed to want to stay around all day – though that could be because of all the bird food I was giving him! 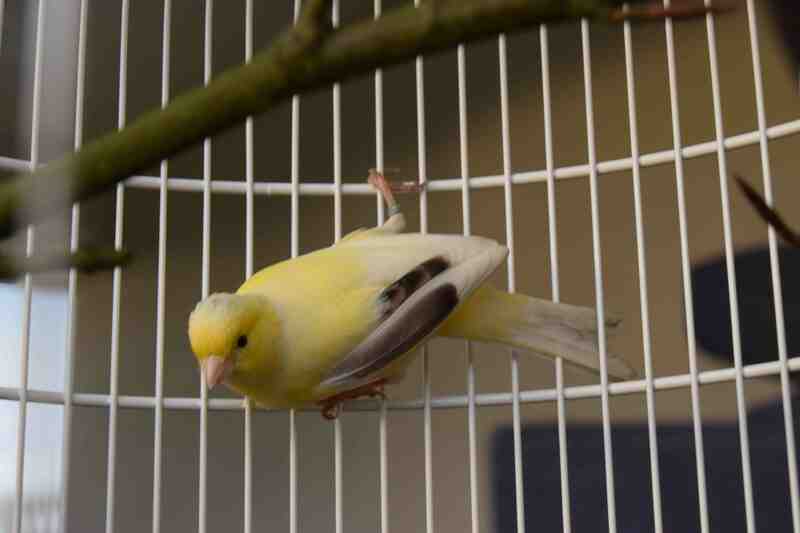 The odd thing is that I have always wanted a canary – and now I have one. And he found me! I think he is young but I am not sure. He is a bit odd in having one yellow/white wing and one grey wing. All I have to do now is think of a name. Any suggestions? I am glad to say he is still alive and singing away. I think he may be a good singer as he is already singing a few different notes every now and then. I will see how happy he is before I call him lucky! He seems ok for now though and is tucking into his chopped apple. Will do me good as I have to eat the rest! Nice to hear he has settled in so quickly. He has to be called after the eclipse, so all I can think of is Sunny – after all, he is a lovely sunny yellow colour too! 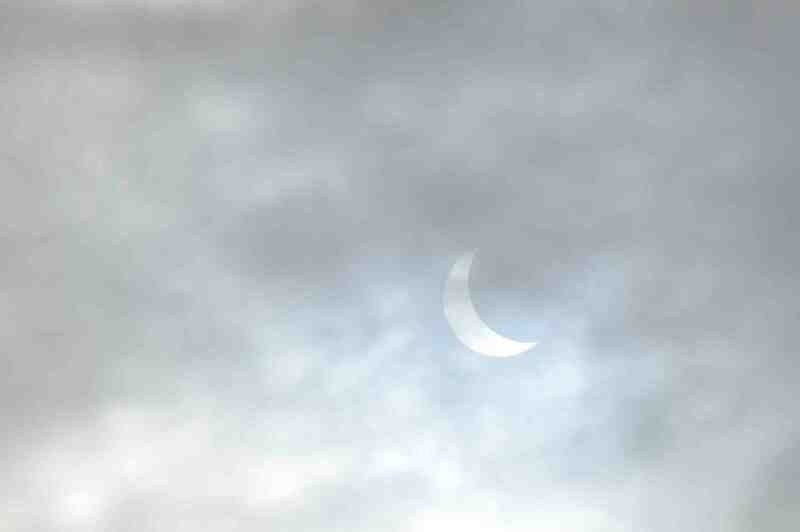 Hear in the Midlands, we were lucky enough to have clear skies for the eclipse, but It did mean we couldn’t see what you saw, it was too bright – even through the iPad.